You are bound to come across the requirement to write a book report no matter what educational path you take. Writing procedure is easy such as you only have to read a book and write about it. So why are book reports so troublesome to some students? It is because they challenge their critical thinking and test the overall understanding and their ability to express opinions regarding a book. While the assignment may seem tough on the first look, once we show you the basics, you should be able to handle it with ease. You Should First Ask Yourself ‘What is Book Report? It is a descriptive summary of a book. It can also be viewed as a way of informing other people your thoughts about a book you have read. The intentions of a book report can be classified into three: a plot summary, character analysis or a theme analysis. In some cases, you might be instructed to feature all of them. Now that you have an idea of what you are dealing with, let us proceed. Pay attention to the instructions given by your professor. Does the instructor want you to discuss a theme in the book? Are you only supposed to write about a specific character? Make sure you know what you are expected to do. This is the most important step you should take before you even decide to write a book report. There’s no way around this one. Read the book and understand its plot, know the characters well and highlight the main points the author tries to express in the book. Reading will make the writing process a lot easier for you. Note down the main points and happenings of each chapter of the book while reading. This will help you avoid having to flip pages back and forth looking for information to include. An outline is an organized highlight of all the content a student is to include in the book report. It serves as a blueprint to guide the construction of the paper. The outline will help you save you time when you start writing. The book report should only cover the most significant parts of the book or the most important points you have derived from the book. Avoid adding minor ideas and events that do not have notable effects on the overall plot of the book. Quoting characters in your paper should be done sparingly. At most, you should only have one important quote per paragraph, and hence you should be careful with your selection. Look through your work extra times before submission to check any mistakes you might have made. You can even ask a friend to do it for you. Start by providing the basic information about the book. State the name of the book while indicating whether it is part of series, then state its author, add the genre of the book and the date published. Make sure the reader gets all the necessary information on the book here and be precise in your sentences. A good start contributes to a good book report. When it comes to the book report structure, you need to work around the following three parts such as an introduction, body, and conclusion. The introduction is meant to familiarize the reader with the book by giving basic information. The body contains all the main events, occurrences, themes and analysis of the book. The conclusion is the last part and should include your final thoughts. Open with a line that can capture the interest of your readers. While doing so, be careful not provide any feedback about whether or you liked the book or not. The introduction is simply setting up the body of your book report and hence you should not reveal too much of what you will handle in the body of the book report. The body of a book report follows the lead of the introduction. Start by describing the setting of the book. This sets the stage for all the information you put in your report. Introduce the characters and define the role they play. Use persuasive language where possible. You then describe the main events depending on their significance to the plot of the book. You can also comment on the style used by the author and how it contributes to the overall effect of the book on the reader. The analysis and evaluation should appear last in the body. Here, you are supposed to bind the events and actions present to their meaning and symbolism in the book. After exploring all this in detail, you can proceed to the conclusion. In the conclusion, summarize the analysis of the book from the body of the book report. Here you have the freedom to show your opinion on the book and portray the effect it had on you. Avoid the use of vague phrases to describe whether or not you liked it, for example, ‘I liked this book’ or ‘The book was good.’ These phrases will only dilute the effect you want to have on the reader. Use your imagination to paint a clear picture of how the book affected you. A good conclusion should help the reader decide whether or not the book is worth reading. When you finish the conclusion, your book report is basically done. You can sit back and go over it a couple of times correcting any errors. Get Your Book Report Here, Order Now! Is that book report still causing you headaches? Let us handle it for you. 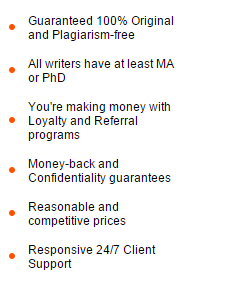 We have a team of writers ready and waiting to provide you with a custom book report to eliminate your hassle. Hurry up and contact us today, we might have just what you need. Our college papers service ensure your Confidentiality and guarantee quality for all our customers.